Ken Pedersen is a multi-disciplinary, results-oriented leader, entrepreneur and trusted CEO advisor. His professional background includes far-reaching experience in a variety of business areas, from business strategy execution to IT Strategy, to the development of service models and sales technology optimization. Ken’s commitment to making companies work better has yielded consistent results in a wide array of industries, including software development, IT services, manufacturing and financial services. An insightful, collaborative visionary strategist, Ken brings to companies and clients a direct, honest approach supported by strong critical thinking, personal integrity and an emphasis on honoring values and commitments. His business philosophy, centered around the concepts Manage, Decide, Deliver encompasses Coaching, IT Strategy, Software Selection, IT Results, and Project Triage and Recovery. As a presenter, Ken challenges audiences with a thought-provoking, highly creative approach to strategy development, business optimization and success through honoring commitments. In addition to his business acumen and entrepreneurial career, Ken also has a strong interest in music and theater. He has published two music CD’s, Walden and Deja Views, as well as four business and software books. “This is ‘Solitude’s Companion’ take number one,” says Konrad Strauss, recording engineer, from the control room of Studio Five at Chicago Recording Studio. His voice is calm and even. I’m sitting at a seven foot Boesendorfer, the Rolls Royce of pianos, in the same studios in which The Smashing Pumpkins, Sting, and Michael Jackson have recorded their Platinum albums. And here I sit, in the most quiet room I’ve ever experienced, collecting my thoughts, — not nervous, but somehow numb — ready to break the silence with the notes that will become my first CD, WALDEN. It’s been just four months since I started working on this recording project, yet it seems like I’ve been working forever. In April 1997, my employer shut its doors. Instead of rushing back into the job market, I take the time to record the CD I had been mulling over the last several years. I had written music for two independent films and for musical theatre concluding with a staged reading of my full-length piece, Rock That Town (with book/lyric writer Chuck Mitchell) in Chicago 1996. While my theatre work had been rewarding, I had been nurturing the idea of melding the New Age sentiments of peace and repose with a more classical composition approach. Whether or not it had any commercial potential, I wanted to try out this notion of a “New Age Classical” style by writing an opus and recording it to CD. I allot four months to do the CD. This meant doing everything from composing through recording, editing, and mastering the disc. The start date would be May 1, 1997, and I hoped to be done and have a master off to duplication by September 1st. …In this first month, I hadn’t settled the overall theme of the disk, although there was a strong nature element in the music, and — I felt — a slightly intellectual thread that I was trying to develop. I knew that the music was forming itself into something, but I couldn’t quite yet make it out. I had to be patient, despite the gnawing little voice in my head that kept reminding me of each passing day. I decided the best approach was to continue pushing ahead, and that the theme would identify itself to me soon. June, month two, arrived quickly and suddenly logistics issues needed attention. I had decided to try recording the CD at home. I have a small home studio and a dark brooding hand-built Petrof grand piano that I love. I’d read a lot about recording pianos and knew that it was a difficult task, but was determined to at least try. I rented microphones and began experimenting. Soon there were pillows, blankets and sound absorbing material all over the living room as I tried to get control over the live acoustics. Finally I had the best setup I could get and recorded some sample takes. I was disappointed. The best sound I recorded delivered a nice upper midrange, but the lower mids were always muddy, the highs were unrealistically bell-like. After some last experimentation, I realized that I’d need to find a real studio with a piano I could relate to, one that didn’t have that overly bright, pop sound I was trying to avoid. But where to go? …Call it serendipity, but while waiting for an elevator outside the studio, I run into a composer who has been mixing a jingle while I was trying out the Yamaha. I ask if he knows of other studios that have a top notch piano. He mentions that Chicago Recording Company (CRC) has several grands. The studio is about a mile away, so I decide to walk there and ‘cold call’ the studio. Hank Neuberger, the General Manager, greets me after a short wait and he lets me audition both of their pianos on the spot. First, I try a Steinway that sounds harsh and feels like a piano that has had a lot of rock and roll use. Then he takes me up to Studio Five and seats me at a seven foot Boesendoefer. I’ve never played a Boesendoefer before, but as soon as I play I know this is the instrument for this project. The piano sings beautifully, and it focuses a melody line like a laser focuses light. The piano is well mannered and I love it. There is more good news. The studio can make available an engineer who really complements the project. His name is Konrad Strauss, and he has both classical and new age credentials. He has recorded the Chicago Symphony, Itzak Pearlman, as well as Mannheim Steamroller and Jim Brinkman. The price is going to be higher, but for the opportunity it seems worthwhile. We set tentative dates for late July. Finally, as another result of my internet research, I track down Trevor Sadler. I came upon Trevor after hearing the work of Kostia — a Narada pianist I’d heard on a recent piano compilation. From the compilation, I had bought Kostia’s ‘St. Petersburg Suite,’ and Trevor was one of the engineers. Using the internet, I find some of his newsgroup posts and it turns out he now is Narada’s mastering engineer. We get acquianted and after some discussion, Trevor agrees to do the mastering for the project. Thus my engineering team is set. …Breakthrough: during the time off I find my idea of the CD: Thoreau’s Walden. Based on the book by Henry David Thoreau, Walden is a perfect context for the music. Rich in its love of nature, Thoreau also challenges his readers with ideas of individual responsibility and authenticity. For me, the book both motivates me back to work and inspires new musical ideas. I revise the recording dates at CRC for three days starting August 15 and am back in business. I start writing again, this time with renewed focus and intensity. I am letting my hair grow. I am not shaving. I am limiting my exercise to the short walk between the piano and my home studio. I sometimes forget to shower. I am staying up late and getting up early. It is July and I have a lot of work to do. Finally, the day arrives, and its time to start recording. I wish I’d had more time to revise and rehearse — but then, that probably would be true forever. It’s time. Konrad has just announced ‘take one’ and I’m sitting at the keyboard of this wonderful piano, trying to perform well for these microphones, for some abstract audience…, for myself. And then I begin with the first notes of ‘Solitude’s Companion’ feeling a bit alone, a little scared, and a lot curious about how this adventure is going to turn out. I have arrived at Chicago Recording Studio at 5:30pm on August 15 for the first of three six-hour recording sessions for my first CD, Walden, after the book by Henry David Thoreau. Each session is to be separated by one day off. Session one and two are planned for recording solo work, session three reserved for the duets I will be performing with guitarist Jeff Kust and cellist Martine Benmann. I have never played in a recording studio. Studio Five has three recording areas of varying acoustical qualities. Recording engineer Konrad Strauss tries out a multitude of mic and piano placements while I play. After about ninety long minutes, we finally agree on a simple placement that gives a nice balanced picture of the sound. Konrad has recommended using Schoep mics into Apogee 20-bit preamp converters. The output of the converters goes into a DAT machine, bypassing the converters in the DAT. This approach is to yield a superior quality sound, giving better headroom and greater warmth than going straight to DAT. The studio is eerily quiet, like one would imagine in deep space, as if all sound has somehow been sucked out. It is somewhat distracting, and one result is that suddenly every small noise I’ve never noticed takes on enormous import. The piano bench creaks, the sustain pedal squeaks, the dampers fall to the strings louder than I’ve ever heard — or at least noticed — before. The stress of all the microphone auditioning already has me feeling slightly tired and by the time we’re actually ready to record, I’m not so much nervous, as somehow numb. I’m wondering where that moment of performance inspiration is. There’s adrenaline, but its not the energy of the muse whispering in my ear. I’m struck by the brute fact of the work before me. As I start playing in that first take, I find myself more conscious of notes, and less focused on music. When I finish the first take, Konrad says from the control room, “Nicely done.” But upon auditioning the take I don’t like it at all — it sounds mousy and careful. I’ll struggle with this for the next four hours. I’m playing the music accurately enough, but it feels like defensive playing, it is playing to not make mistakes. I’ve been a rehearsal pianist and accompanist for vocalists and have seen how the live performance can sometimes take away a singer’s range as they retreat into a safe zone, a competent zone, a studied zone. That’s where I am now, but I’m pushing myself to break over that edge, knowing that once I get there my music will sing itself. The sound vacuum phenomenon breaks an essential feedback loop, stealing away the overtones and natural resonance. It feels like I am walking in the dark. Around 10pm, we hit a breakthrough. With just the slightest intensity change in his eternally calm, neutral voice, Konrad scolds me to ‘go for it’ on ‘Quiet Desperation.’ During the take I feel like I’m overplaying, but when we listen to the take it’s clear that this is the right direction to push. The last couple of hours of this session become more fun and rewarding. By the end of the session, I wish we were continuing into the night. I nail a take of ‘Different Drummer’ — one of the toughest pieces — from beginning to end. Its 12:30 am and we call it a night. At home the next day, I listen to the tapes and begin to make ‘take notes.’ I document everything so I am clear on what must be re-recorded, and what would be nice to have a second chance at. I mark up copies of the scores for Konrad. It is a laborious process because its difficult to compare takes in detail. I spend ten hours of my ‘day off’ doing this analysis and planning. Session two is more surgical. We start by ‘covering’ the mandatory sections of the music that must be re-recorded. In some cases, the material might simply be a small section or a few bars of a particular piece. In most cases, we record at least one fresh full take of everything, and Konrad makes notes on how we covered the mandatory re-record sections from that. My tempi seem to be consistent from one take to another, but I am amazed at how different the coloring of the piano sounds when compared to the prior session. Konrad says I’m playing more relaxed today and he can hear it in the tone of the piano. The takes from session two become the base for most of the solo material on the CD. Moreover, later, during editing, I will find myself choosing takes from one day’s session or the other. The color and tonality between the two sessions are usually just too different to intermix. Session three was the most fun, playing duets with two outstanding, but very different musicians. Russian cellist Martine Benmann warms up slowly and deliberately. We’ve rehearsed twice and she asks highly detailed questions about my intent, makes good suggestions, and helps me refine the bowing. She dislikes the ideas of recording too many takes, and is distrustful of the idea of editing — assembling a performance from multiple takes. As a result our session is intense, but short — about seventy-five minutes. There is a feeling of high stakes when we play, but each performance of ‘Uncommon Hour‘ — which uses thematic material from Bach — is a musically interesting adventure which was different every time. 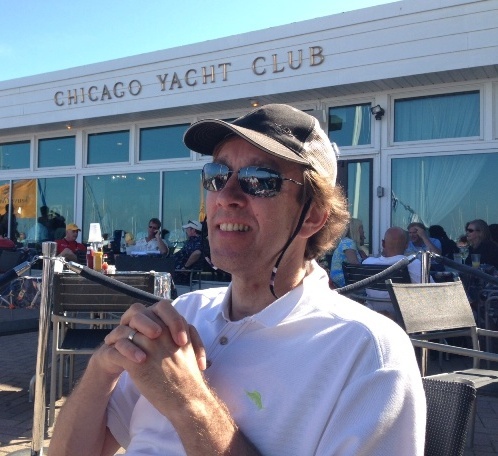 Guitarist Jeff Kust has played with the Chicago Symphony and is an experienced session player. He is relaxed and business-like. ‘Waltz in the Woods‘ is probably the most fun and most difficult piece on the disk. Jeff plays superbly. We do a few full takes and then start working our way through section by section. During editing, two of the full takes will serve as ‘base’ takes and we edit in this ‘cover’ material where necessary. Its 1am at the end of session three and both Konrad and I are exhausted. Konrad was just a vast resource to me like a guide taking me up the Northern face of Everest. 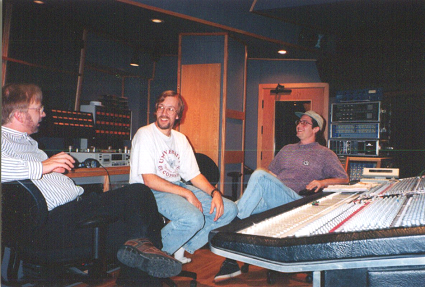 One of the challenges of a self-produced CD is to hear yourself as objectively as possible during the recording process. Konrad really served as my surrogate producer in the studio and his high musician standards, gentle prodding, and encouragement were a great asset. The final stage of the project is editing and mastering. The day after session three, I work through all the takes and organize my notes into an edit list. For my project, this is a very detailed process. The amount of editing really comes down to how many takes there are, and in some cases I had twenty or thirty takes of material. I listen to all of these takes, arrive at the ones I like best and note them by measure and time marking. The next day I drive to Milwaukee in the evening to meet with Trevor Sadler, Narada’s mastering engineer. Trevor has mastered #1 records and his recordings have been nominated for (and won) Grammies. Narada’s offices are in a quaint former school building, crisp and Northern European in appearance. We go to his mastering studio, a standard 10×10 office with sound proofing. His equipment is fairly unassuming but of high quality: a Macintosh running Sonic Solutions Audio workstation, a tube compressor, a digital effects processor, and a DAT machine are the main equipment. We begin by loading takes into the computer system, using an analog process of passing the sound through the tube compressor and then sampling the result back into digital form — again using 20-bit Apogee converters. Once captured in the Sonic Solutions system, Trevor is able to manipulate the digital information in a variety of ways using sophisticated cross-fading tools that make most edits impossible to hear. The editing process is tedious. Trevor and I team up, me identifying the portions of music to be used, and their general edit points, and he carrying out the magic of the edit, choosing the best algorithms and the specific point at which to make the cut. Overall, we edit for about fourteen hours over three evenings. After the editing is completed, we continue on to the final mastering steps. We identify the exact start points of each track, the end point, the fade out strategies for each track, as well as decide on the length of gaps between tracks. Once that is done, we audition, discuss and decide on the appropriate processing and levels for each track. In the case of this project, we use a variety of digital reverb touches. My taste is to want bigger reverb spaces than Trevor. Ultimately, after taking home the premaster CD and listening to it for several days, I eventually arrive at the same conclusion as Trevor’s original recommendation and we do a new, this time final version of the premaster with less reverb. Trevor demonstrated great patience and musicality in his approach to the material. I can see why many Narada recordings are highly regarded technically. Deja Views and Walden have been added to the play list at Whisperings Radio. Whisperings is one of David Nevue’s projects to bring together the ‘New Age’ piano community. It is a great project and I am glad to be a part of it. I’m looking forward to playing at the annual All-Star Concert and Awards Ceremony one of these days. 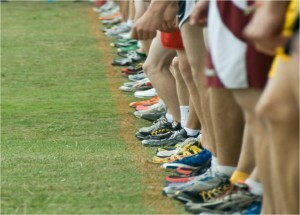 The elite runners take off when the gun fires. What happens to those back in the pack? An IT initiative is a project with the added difference that it has tons of abstraction that require skilled teamwork and collaboration to deliver. Senior business leaders often underestimate how much they own to lead their project team through this challenge. Yet they are the ones with the business knowledge and the means to remove obstacles encountered by those stuck in the pack. This post discusses three mistakes business leaders make and what they should do to address them — using the analogy of the recently-held Chicago Marathon. For more on the topic of business sponsorship, see Time Magazine’s coverage of my post on cioupdate.com. Here’s the setup. Out of the blue, I was contacted by a music distribution company in Korea. 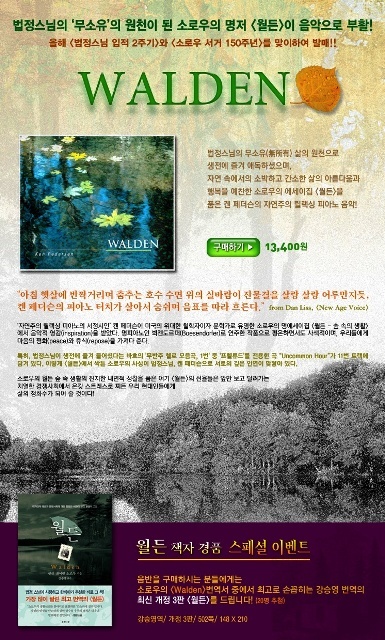 They wanted to distribute WALDEN in Korea. At first, I thought it was some kind of spam, but after checking references and agreeing on terms, it turns out it was a serious company with track record. They distribute in the remaining Korean brick-and-mortar dedicated music stores (ala the now-defunct Borders, which was the biggest distributor of Deja Views). They also are distributor for electronic versions of the two records in Korea outside of iTunes. The price appears to be 13,400 won, which is a relatively reasonable $11.95. It includes the original artwork and the Thoreau quotes on which the compositions are based. 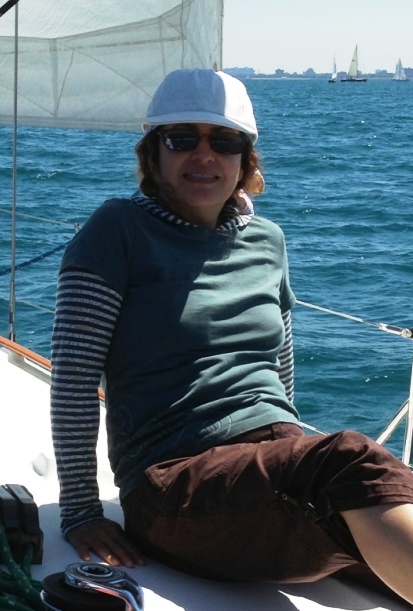 Adri and I had played around with sailing catamarans in recent years. This year we decided to really learn how to sail. 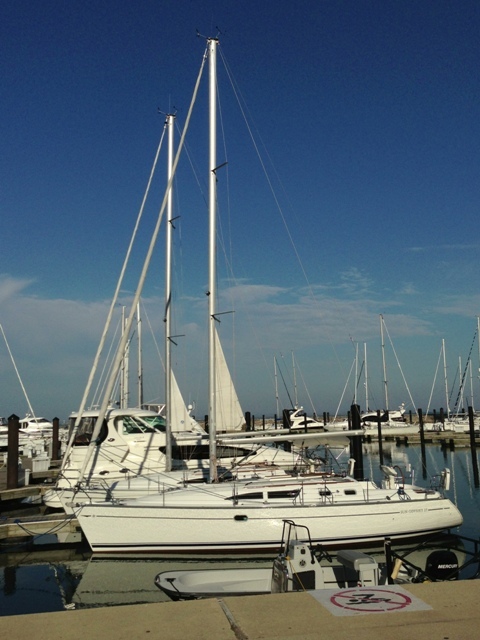 We leased a time share Jeanneau Sun Odyssey 37-footer from Pinnacle Yachts. We froze our butts as we took lessons in May, but at the end we were handed the keys to MoonDance, sailing out of Monroe Harbor. The weather has not been great so far, but we’ve found one or two beautiful days for sailing. 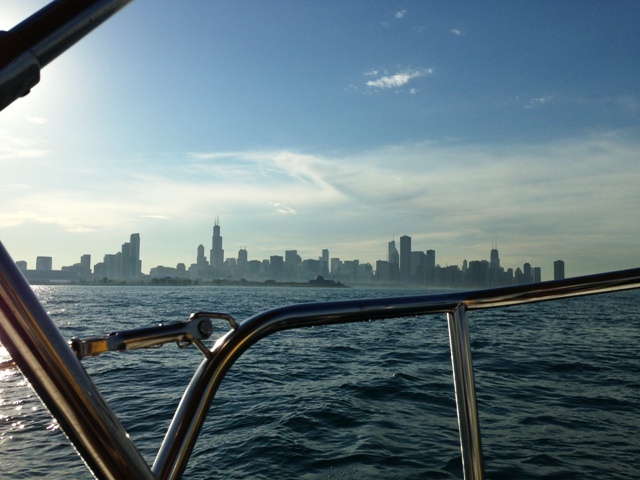 Looking back at the Chicago skyline from about two miles out. Commitment making is the foundation for building an authentic performance culture. Here is an interview that gives a brief overview of how we use commitment-making in our project execution. I consulted for Tom Blog’s start-up while he was still holed up in his apartment creating one of the first PC-based wide area network (WAN) protocol analyzers. At the time, I was living in West Lafayette running my consulting business and teaching at Purdue’s School of Technology. When Tom finished the product and had some initial sales, he wanted to build a team. In 1989, I moved back to Glen Ellyn and became VP of Marketing, joining Bob Everhart running sales and Tom Stelter as President. I was accountable for product management, pricing, distribution and marketing. Under my leadership, we increased prices and focused on building more niche-driven specialty products for which we could generate more pricing power. This led to our “LM1 Olympic Edition.” ISDN tel/scope ISDN analyzer and CompaSS7 SS7 analyzers that drove profitability and complemented the original more volume-driven flagship analyzer, the LM1. I ran our international distributor network. One quirky accomplishment was that I wrote a help system in C that could plug into the executable so that Tom’s engineers didn’t have to be bothered with writing help screens. We used that to translate the products into French and German which gave us an edge in those markets. At the time we sold the business, international contributed about 40% of our revenue. We had pursued a project to develop an ISDN terminal adapter (the “tel/adapter,” a PC-based ISDN telephone) and won the PC Magazine Editor’s Choice, which was a big deal back then. It was a tough choice, but we divested it to Digi International so we could focus on the protocol analyzer business in which we had our core advantage. The funds from that sale helped us accelerate our growth. We also launched a patented, hand-held protocol analyzer called PocketScope that operated via the parallel port (remember those?) of any PC-compatible computer. This product won “Product of the Year’ honors from Data Communications Magazine, further credentializing the business, not to mention our marketing communication chops. We sold the business in 1992 to Network General (later: Network Associates) having increased sales five-fold in 2 1/2 years. We correctly anticipated the convergence of WAN and LAN testing. The value of our $10m in NGC stock quickly grew as NGC’s stock price soared from $9 per share to $40-something. From Chicago, I served a one-year employment contract as Director of WAN marketing, managing the now branch office and spearheading the integration of the PCI product line into the Network General product line and authored the firm’s WAN strategy. One of my product managers, Bakul Mehta, relocated to Menlo Park and eventually became president of the Sniffer Technologies division until its spin off in 2004 as a reborn Network General. In 1993, I decided to ‘retire’ to focus on home life (Soren and Eric, at the time 9 and 11), involve myself in the local school system via school board leadership and pursue musical interests. I did occasional consulting for projects related to the Progressive Computing experience, but ultimately NGC phased out the WAN analyzer software products and closed down the WAN operation around the time of their own acquisition by Network Associates. Here’s an overview of my books, articles and other published work. I’ve had three books published by major publishers, as well as numerous articles. Check out amazon to learn more. My recent thought leadership is focused on the use of commitment-making in strategy- and project- execution. Still in print, and still has its fans out there. I wrote it because as a sales manager at the tech companies I sales-managed, I could not find the skill set I needed in software sales reps for packaged software. Its main contribution was a focus on needs-based selling, managing technical evaluations, and avoiding role confusion in the customer experience of the selling process. I wrote this before Strategic Selling and ‘SPIN Selling’ came on the scene. SPIN selling especially was a big advance on my idea of focusing on ‘problem-solving’ value. Today it is mostly serves as a primer for newbie sales reps which is exactly what it was targeted as. The book had a difficult first year in that Time had bought Scott-Foresman and had it on the block, and it did selling the division to Harper-Collins shortly after the book was published. It was common knowledge in the channel and accordingly the stores weren’t ready to stick out their neck until they saw what the new buyer had in mind for the catalog. I did some speaking and training engagements with Fortune 1000 firms based on the positive reviews and modest following the book garnered. Expert Systems Programming – Practical Techniques for Rule-based Systems came to fruition based on research I did as part of my association with mdbs in West Lafayette, IN. The firm was run by several Purdue professors doing bleeding-edge research on the use of production rule systems in business. The firm released Guru, which was the most complete PC-based expert system development tool up to that time. I was with mdbs as retail and international sales manager. It became pretty obvious that the product was ahead of its time and no one really knew what to do with it. I ended up leaving mdbs to start my own consulting practice specializing in expert systems. I served as a Visiting Assistant Professor at Purdue while doing the research that led to this book. The research began as a high-priced study comparing and benchmarking the PC-based expert systems products of the time. I created a methodology that claimed to establish an approach to develop ‘well structured knowledge bases’ analogous to the concepts of ‘structured programming’ in fashion at the time. The book was a success in its niche. Among other things, it was a featured title in MacMillans Technical Book of the Month Club. During this time, I also had several interesting consulting the projects. The most interesting was working with Waste Management in Oak Brook, IL helping them vet and prototype expert systems ideas. The most valuable of these was a system to assess waste sites for dangerous signs of methane build up. This required some expertise and they sought to distribute at least the core of that expertise to a larger group of practitioners. Given my marketing and sales background from the 1980’s, I also had several clients whom I did marketing and sales consulting. I eventually joined one of them, Progressive Computing, which was the end of my artificial intelligence career. This turned out to be a good move as rule-bases were integrated into more generalized environments, and the minor bubble in AI stocks collapsed when the three or four big LISP machine manufacturers saturated their market in the early 1990’s. Using WordStar 2000 was published by Que Corporation which was the leading publisher of software how-to books at the time on the strength of their title Using 1-2-3. WordStar 2000 was the heir apparent to the original WordStar by MicroPro International in San Rafael, CA. I wrote the book evening and weekends while heading their midwest sales region. Right at the time Using WordStart 2000 was to be published, I got an incredible offer to join Ashton-Tate (of ‘dbase’ fame) to build a midwest sales force. The two firms somehow considered each other competitors. My solution was to publish the book under the pyseudonym ‘Eric Sorensen,’ created based on the name of my two sons Eric and Soren. Using WordStar 2000 was the best selling book I ever had, tied as it was to the sales of the software product itself. WordStar 2000 the software product had a two-year run as a contender, but eventually WordPerfect and finally MSWord spelled the end of the product and several years later MicroPro sold to Spinnaker Software. I began composing music in the mid 1990’s as an outlet and avocation. Here’s a summary of my work. In 1997, I set myself to record a CD based on Walden, authored by Henry David Thoreau. I had no commercial aspirations and the music I think shows it. The CD is reflective, introverted and generally not too interested in impressing the listener. My goal was to follow where the ideas might lead. Many of the tracks are based on improvisations I reworked into through-written pieces complete with written score. Walden was released in 1998 on my own label Symark Records. I decided to send it out to some of the prominent (at the time) New Age publications and reviewers. I was surprised to find a good reception. In short order I had a distributor for the alternative music and book store market and received some nice published notices. Subsequently I received a good amount of alternative radio play as well. Walden was noticed enough to be named on the ‘Top 50 CDs of the Year’ by Backroads, and it made a brief appearance on the New Age Voice music charts. Walden found a niche in the Thoreau community and is still sold at the Shop at Walden Pond. I was invited there to give a concert based on my Thoreau improvisations which was a highlight of the whole adventure. With the positive feedback I was receiving, I decided to composed and record a second CD which I called Deja Views. The idea was to take well know claasical tunes as a basic for each track and to explore them in a New Age sensibility. Given that I had gotten some modest commercial success, my goals for the project included exploring if I might be able to open more commercial doors with this recording. Recordings like the Mozart Effect were doing well and the using of classical themes like those from Pachelbel were a familiar way to engage an audience. With Deja Views, I used acoustic samples to accompany my piano and also collaborated with Judy Stone on cello for two of the tracks. There are more upbeat tracks (for new age music, that is) and in general the music is a bit more outgoing. Indeed the CD did find an audience. It was in the Top 10 on the NAV charts for six months, charted as high as #3 and appeared on NAV for nearly a year. My distributor was able to place Deja Views in many of the music chains including Borders and Tower Records nationally. The record also was popular with radio, with over 600 stations playing it. I was featured on a number of programs and even had recorded audio FAQ on which I recorded answers so that radio hosts could conduct a virtual simulated interview with me. This was played in Chicago, Cleveland and on the Voice of America radio among other stations. In recent years, both Deja Views and Walden have been picked up by digital radio, with DMX and Sirius among its biggest recurring players. The attention this CD received led to some discussions with several New Age labels that had international distribution, but they didn’t come together. Record stores were feeling the impact of digital competition. They started reducing SKUs and New Age music was one of the first to be cut deeply. Luckily, Amazon.com makes it possible to offer both the physical and digital versions of the music, not to forget the impact of itunes as well. In 2002, I was invited to contribute a track to a compilation by the name of The Heart Aid Project. The CD was part of a fund-raiser for 9/11 survivors. Other composers include great names like Ray Lynch (“Deep Breakfast”), John Boswell (“Trust”) and Robin Spielberg, Michael Hoppe, Suzanne Ciana, and Windham Hill’s Ira Stein. The project was put together by Spring Hill.